TOKYO (Reuters) - Nomura Holdings is promoting company veterans Toshio Morita and Kentaro Okuda to joint chief operating officers, cementing the pair as future leadership contenders at Japan's biggest brokerage and investment bank. Morita, president of the domestic-focused Nomura Securities unit, and Okuda, head of the Americas region, will stay in their current roles and take up their new positions on April 1, Nomura said in a statement on Tuesday, announcing its annual management reshuffle. Current COO Tetsu Ozaki will step down to become vice-chairman. The moves may allow the pair, seen by company insiders as potential successors to Chief Executive Koji Nagai, to advance their case to become Nomura's future CEO. Nagai, CEO since 2012, has given no hint of leaving his post. He will remain in his role, Nomura said. The brokerage has not publicly said the pair are contenders for the top job in the future. Nomura last year promoted Morita, 56, to run its core Nomura Securities business - which provides investors with investment advisory and securities underwriting services - and Okuda, 54, to oversee its Americas unit. Morita has had a 33-year career at Nomura, spanning roles in the domestic-focused retail unit and chief executive's office. Under him, Nomura Securities' net income grew 5 percent between April-December versus a year earlier. For his part, Okuda - a three-decade company veteran whose career has focused on investment banking - has spearheaded a bolstering of the U.S. investment banking team, part of Nomura's efforts to earn more stable income through advisory services. Still, the Americas division has under Okuda suffered amid subdued market volatility that has crimped bond trading revenue globally and hurt Wall Street and European investment banks. Nomura's pretax profit in the Americas fell by more than half to 17.2 billion yen (117.2 million pounds) for April-December versus a year earlier, underscoring the firm's vulnerability to market fluctuations and stirring worries about the prospects for sustainable profitability at its international business. Morita's and Okuda's appointments as co-COOs were first reported by the Nikkei business daily on Tuesday. 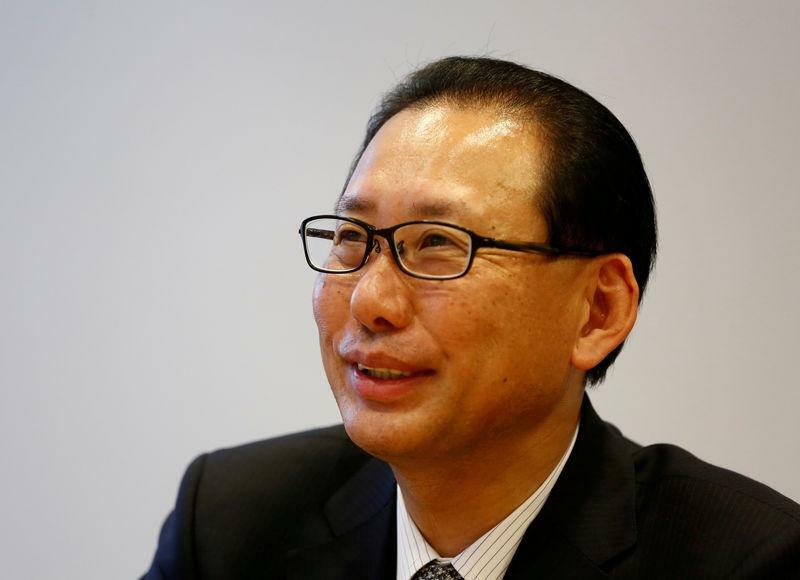 In other moves, Yo Akatsuka will become Nomura's global head of investment banking. Akatsuka, who joined the brokerage in 1990, currently oversees business strategy at the retail division. Nomura also said its line-up of 72 senior managing directors from April will include two women. Currently only one of its 69 senior managing directors is a woman. Prime Minister Shinzo Abe has talked up the success of his efforts to mobilise women in Japan's workforce, a key part of his signature efforts to boost economic growth.